Today a memorial service is held at Westminster Abbey for the former foreign secretary Lord (Peter) Carrington, who died last July aged 99. He was Margaret Thatcher’s first Foreign Secretary (1979 to 1982) and one of the most successful. 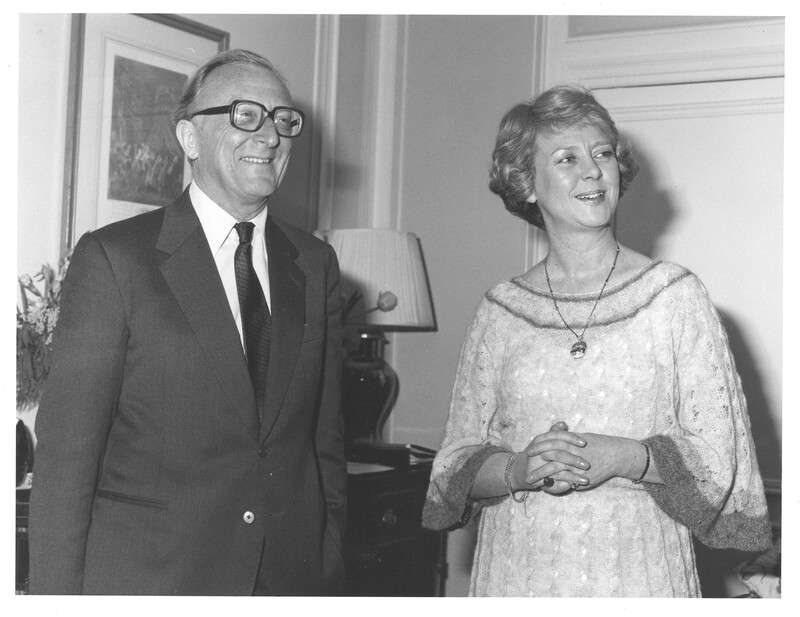 He was lucky that in the early days she was primarily preoccupied with domestic reform and relatively new to international affairs. But his good working relationship with her was based on his experience of foreign and defence issues, and also his character. The Eton-educated, 6th Baron Carrington was not a natural ally for Thatcher but as she herself recalled: "Peter had great panache and the ability to identify immediately the main points in any argument; and he could express himself in pungent terms. We had disagreements, but there were never any hard feelings. We were an effective combination – not least because Peter could always tell some particularly intractable foreign minister that whatever he himself might feel about some particular proposition, there was no way in which his PM would accept it. This generally proved convincing." He was also popular with FCO staff who recalled his steadiness, his wry sense of humour, his persuasiveness, and his relaxed, common-sense realism. One of his junior ministers, Douglas Hurd, recalled how he used to good effect three very personal weapons: ‘wit, pretended ignorance and half-pretended pessimism’. Carrington told the Planning Staff that they should write speeches that had at least 3 quotations in them, so that people who were listening would think that he occasionally read a book. Whilst no enterprise was launched without him telling friends and colleagues that he was bound to fail. This included his attempt to solve the Rhodesia problem, the success of which became his main achievement as Foreign Secretary. 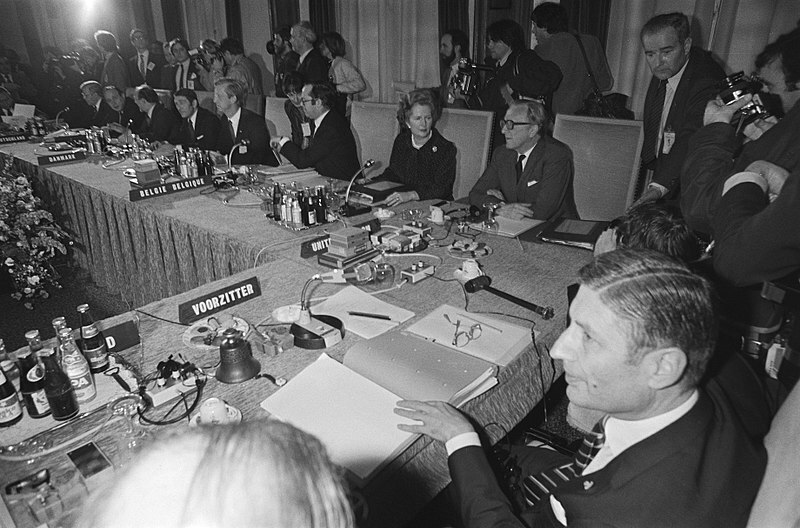 He set up the Lancaster House conference of 1979, which he chaired, and helped bring about the creation of Zimbabwe. His attempt to resolve another long-running dispute – this time with Argentina over the Falkland Islands – proved less successful. He argued for patient diplomacy and negotiation but a defence review, which advocated large cuts in the Royal Navy, sent the wrong signals to Buenos Aires. On 2 April 1982 the Islands were invaded, an act Carrington described as a ‘humiliating affront’ to the country. A Committee of Inquiry, chaired by Lord Franks, would later conclude that the invasion could not have been foreseen or prevented. But in the immediate wake of the invasion, the government faced strong criticism. Carrington and the Defence Minister, John Nott, bore the brunt of this. I met Carrington a few years ago. He was to speak at an event at the Institute for Commonwealth Studies. Although in his mid-90s he was still sprightly and sharp of mind. I introduced myself and he asked me what I did at the FCO, after which he fixed me in the eye and said - ‘But are you having fun?’ He was pleased when I said yes. The impression he gave was of a man who brought fun to every role he filled and his life, and that of those around him, was all the better for it. A man of great integrity; we could do with more like him. Great article ; enjoying reading through this and others improving my knowledge of political history .